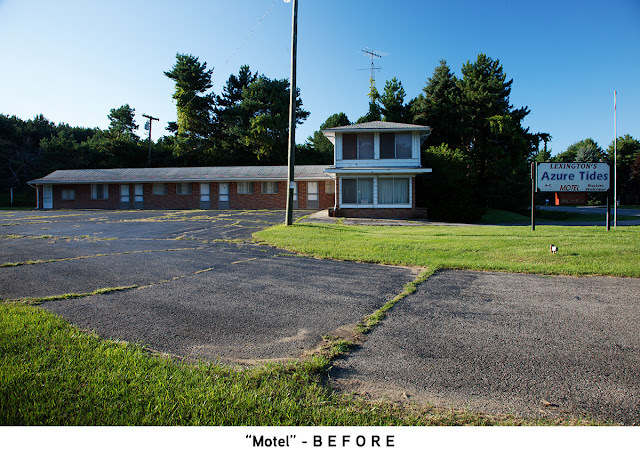 There was something appealingly spooky about this lonely, closed-for-the-season motel in Lexington, Michigan. To my eye it conjured up visions of Alfred Hitchcock's movie "Psycho". My goal in processing the photo was to play up the "horror movie" ambiance. I added contrast (with the fine-contrast tool in DxO PhotoLab) to make the image look more stark and create a sense of foreboding. I bleached out the color of the sky by partially desaturating the blue and cyan tones. I made the asphalt look blacker by selectively desaturating red tones present in the BEFORE image (while being careful to maintain the red tones in the bricks). 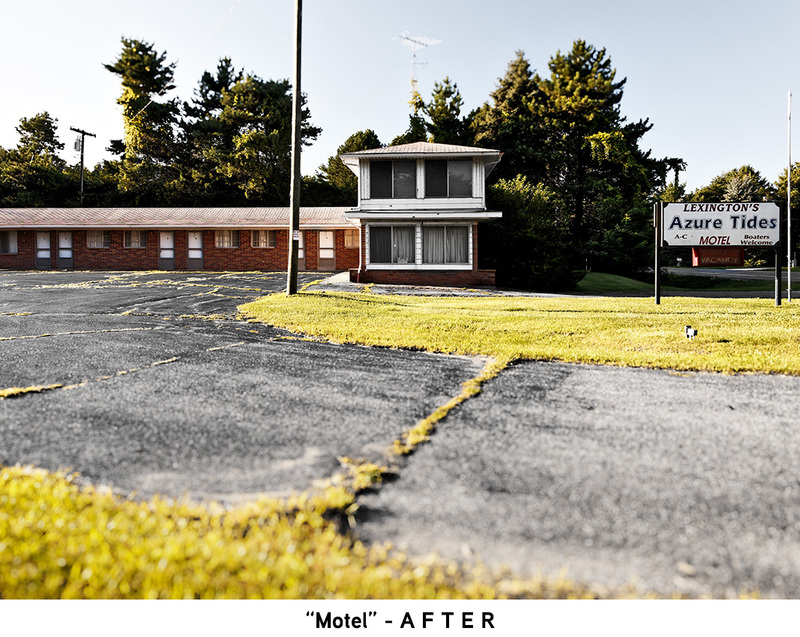 And I used a color temperature adjustment to eliminate the strong blue color cast - very obvious in the BEFORE image in the motel sign and siding on the motel. The enhanced whiteness added a lifeless, skeletal feeling to the image. To create drama I added depth of field by blurring the foreground and background. The blurred foreground draws the eye toward the hotel building and sign. I straightened the roof-line of the motel (it tilts down to the left in the BEFORE image. I cropped and changed the aspect ratio (to 4:3 from 3:2) to remove uninteresting space and make the building and sign more prominent.